Homemade corn tortillas are not difficult to make and best thing — they will transform your taco night into something out of this world! My husband and I both grew up in Southern California. As a result, Mexican food is as much a comfort food to us as anything else, despite our Polish, German, Norwegian, Scotch, French heritage. We love the spicy flavors and the fresh ingredients that are characteristic of well-prepared Mexican fare. And one of the best and the simplest menu item is the freshly made corn tortilla. Oh my! 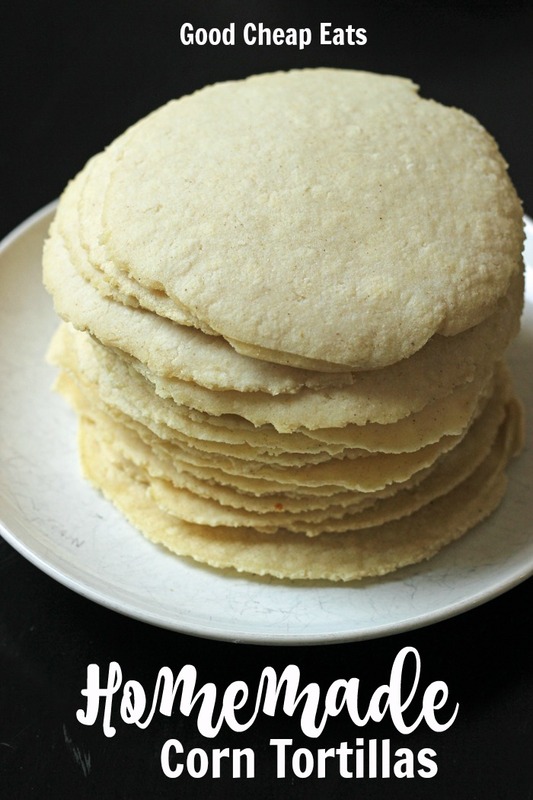 You will be shocked and amazed at how EASY and cheap it is to make your own homemade corn tortillas! When we were dating, one of our favorite places to go was La Superica’s on Milpas Street in Santa Barbara. There they made the tortillas fresh before your very eyes. While a dinner out was certainly fun, it wasn’t always convenient or economical to get our tortilla fix as often as we wanted to. So, imagine my surprise when I headed over to Fish’s house after class one day to find him making homemade corn tortillas himself! He decided he would teach himself, so he had bought a bag of Maseca from the grocery store and a tortilla pressfrom the local kitchen supply store and got to work. After some trial and error, he arrived at great tasting tortillas. I can make them, too. But, he is, by far, the better tortilla maker. 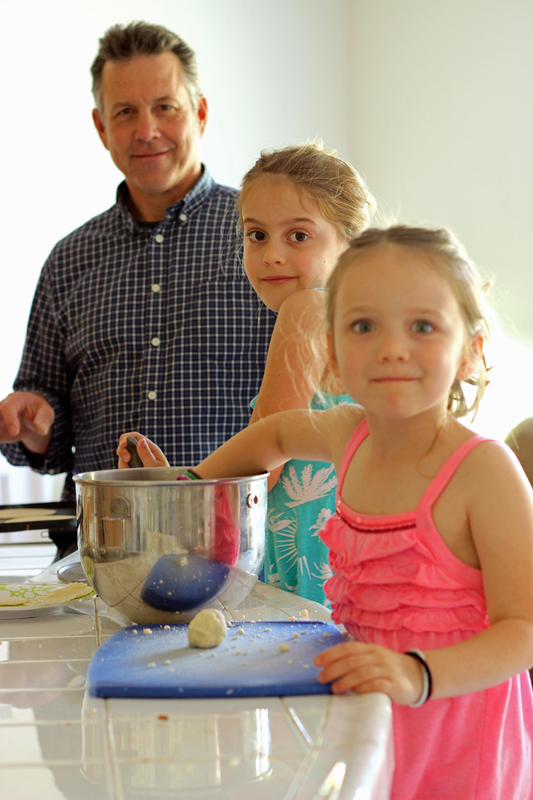 Now that our girls are learning their way around the kitchen, they LOVE to help Papa make homemade corn tortillas. The three of them make up our Tortilla Team. Seriously. That’s what they call themselves. At the risk of having my Mexican-American friends laugh at me, I’m going to offer up a tutorial of how we make them at our house. I am positive that connoisseurs will find a fault in our method, but that’s okay. This works for us. 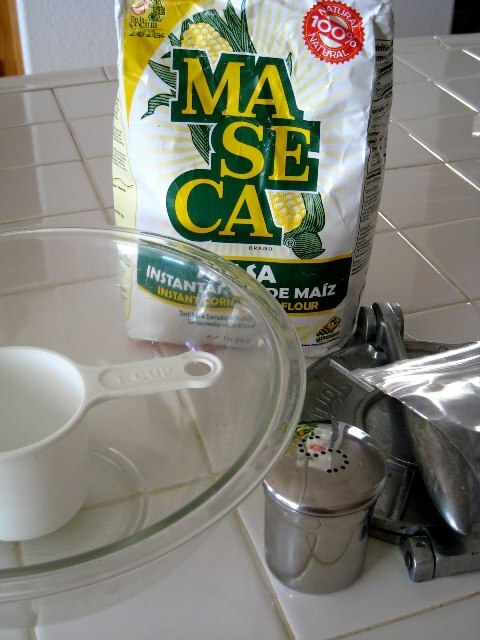 Measure out two cups of Maseca and 1/4 teaspoon salt into a bowl. 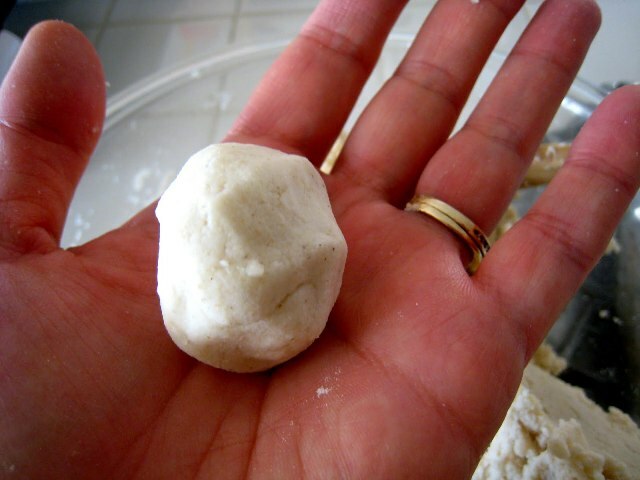 Roll the dough into golf ball-sized balls. Once all the dough is rolled into balls, cover the bowl with a damp paper towel. Heat a griddle and start pressing your tortillas. We use a cut ziploc bag to line the tortilla press since the dough will stick to the press something fierce. You can also use waxed paper or parchment if you prefer. As you press each ball into a tortilla, lay it on the hot griddle. Cook for about 50 seconds and then flip. Cook another 50 seconds. 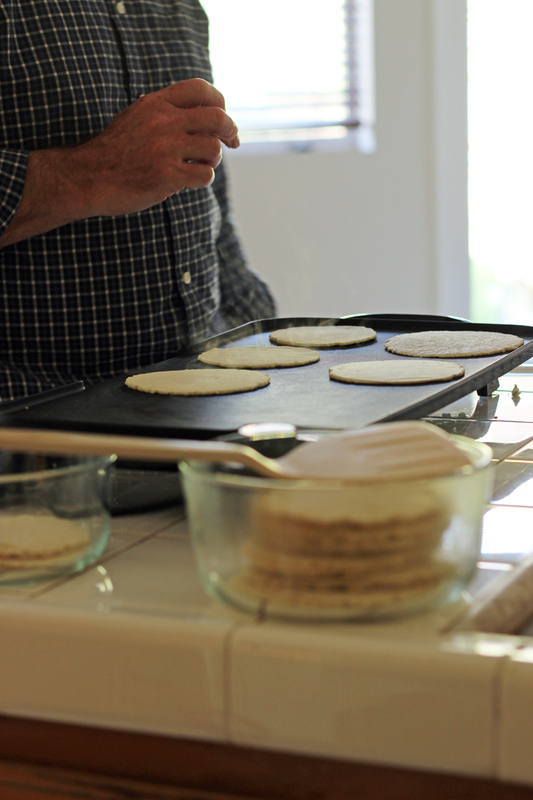 Remove from griddle and keep tortillas warm by covering them with a cloth towel. 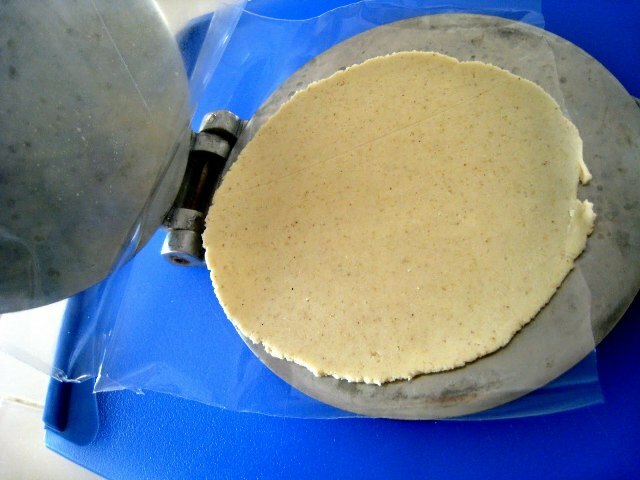 Once you get the hang of it, you’ll be pleasantly surprised at how easy it is to make your own corn tortillas. 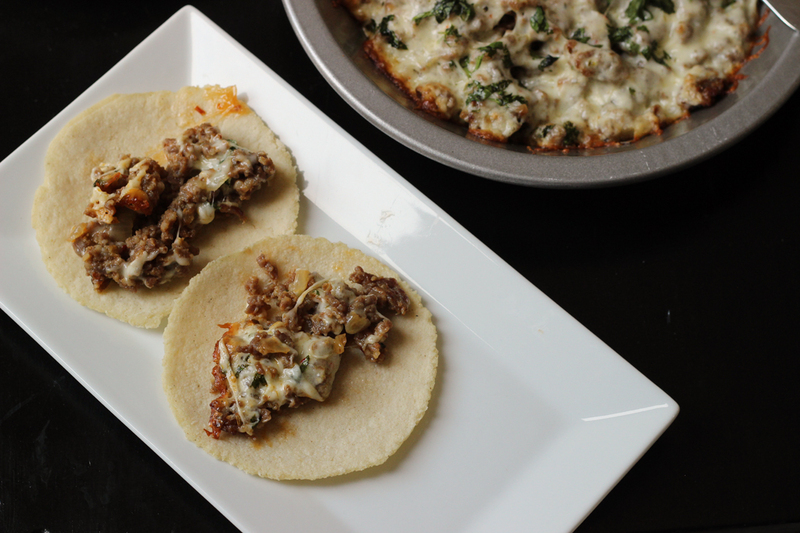 These are great filled with carnitas or shredded beef or chicken. And they make out-of-this-world Poblano Enchiladas when filled with roasted chiles and cheese and topped with a green sauce. 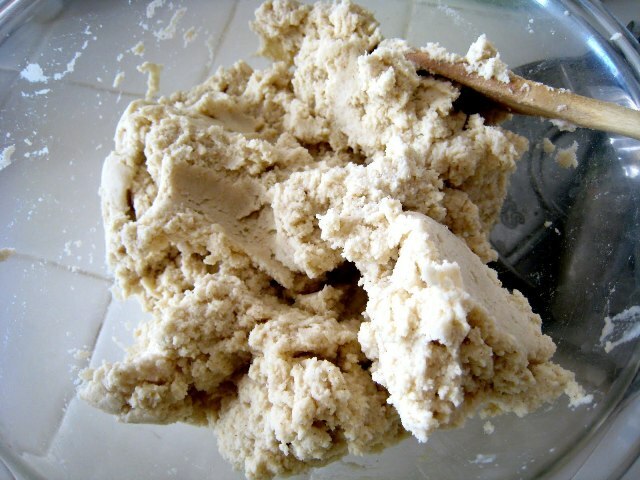 Stir in up to 2 cups of warm water until a soft dough forms. The bag of corn masa flour calls for less water. But, we’ve found we prefer the texture when more water is added. 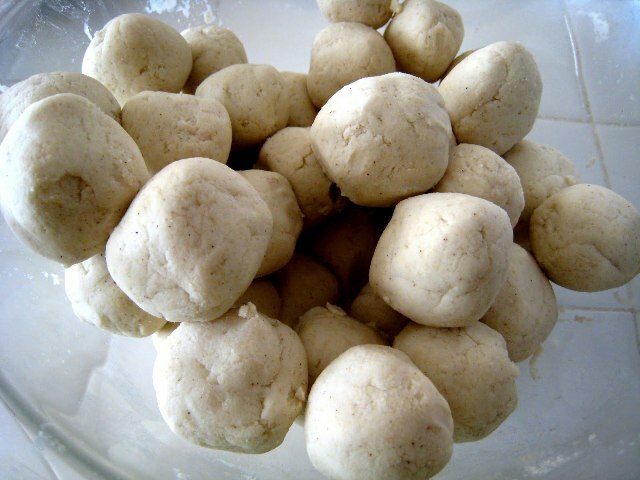 Roll the dough into golf ball-sized balls. Once all the dough is rolled into balls, cover the bowl with a damp paper towel. After many years, I bought another bag of masa….the package directions are not complete (not enough water and rest time not clear)….I will try again with your terrific instructions. A homemade tortilla is so much tastier! And cheaper than $3 a bag. Just did this last night!!! So yummy- but mine were ugly as I don’t have a press. I just rolled them out. The women from Honduras that I’ve watched don’t use a tortilla press. They use pieces of plastic grocery bag. Flatten between two. Lift the top one and fix the edges if they’re ragged, then cook. A tortilla press is easier for me. I don’t worry about ragged edges. The important part is that they “puff” up with steam when they’re properly cooked. 50 seconds a side won’t do it, and sometimes just one cooking on each side won’t either. I got a tortilla press for Christmas and can’t wait to make our own corn tortillas! Do you ever freeze them? If so, how to package them for the freezer? Thanks! @Domestic Nerd, no. We don’t freeze them. I have found that they are really only good the day of making. Hello! 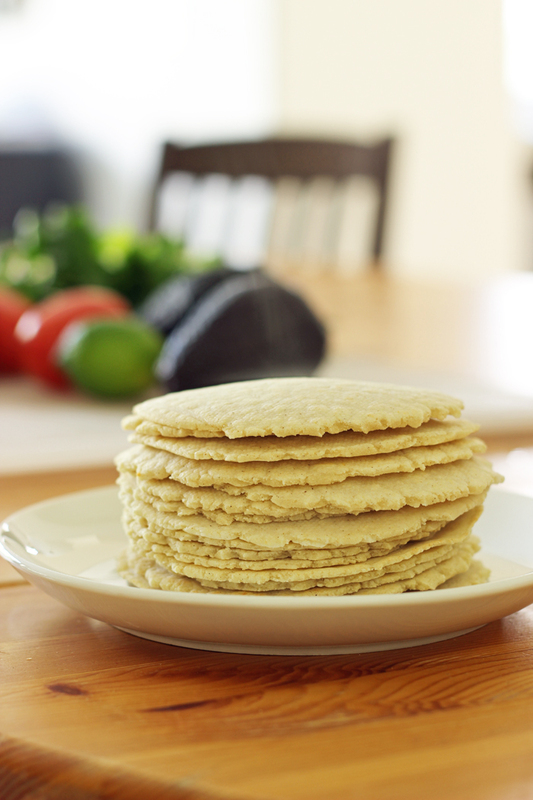 In Nicaragua (Central America), our tortillas are a little thicker, but we do freeze them after cooking. To thaw, we wet both sides of the tortilla, wrap in a paper towel, and microwave for about a minute. They are good for about 20 minutes, so do it right before meal time. After that, they begin to cool off and toughen up again. It should work for these thinner tortillas as well, I believe. I tried this tonight and it worked! Hallelujah! I had no idea. We had tried frying them and reheating, but they never taste right. I heated a stack this way and rolled enchiladas. Hopefully, they will taste as good as I hope. Thanks again for sharing this idea. I’m glad it worked out for you! 🙂 How did your enchiladas turn out? They were great! Thanks again. Jessica, do you use an electric griddle? If so what kind? I can never get mine to get hot enough, and so my tortillas don’t puff up with air when i try to make them on there. I’ve been having to make them on a small stovetop pancake griddle which takes forever! Thanks! Try a nonstick skillet instead. I love the good, clear pictures and directions for the corn tortillas. I’ve finally got the hang of making flour tortillas, will definitely have to try these! I have been wondering and trying to find out for a while if corn tortillas are healthier than whole wheat tortillas. Do you have an idea which it healthier? I have made whole wheat tortillas and they take 4 c of white wheat flour for 10 medium tortillas. That is a lot of carbs. It is surely better than using all-purpose flour, but I don’t know a lot about the nutrition value of corn tortillas. I would love any insight you can share. I actually figured out my own question. I had a hard time figuring it out from google searches in the past, but figured out a new way to search. Most sites compare white tortillas with corn. Corn tortillas are much lower in calories and carbs. They don’t have as much protein, but we usually add protein to the inside. I have never made these before and will have to give it a try. Is a tortilla press necessary, or just nice to have? Thanks for posting the recipe. A press is very nice to have, but in Honduras I watched a woman press the dough between two pyrex dinner plates. I sometimes use two small clear glass plates lined with pieces of plastic freezer bags. You could probably use any plates that don’t have a rim on the bottom, but you won’t be able to see how they’re looking as you’re pressing. Do you know if Maseca is GMO or not? I was very inspired to try your tortillas when you talked about them a while back. I looked at the prices for organic masa and the prices are outrageous. I even went looking for a tortilla press which I could not find locally (big latin population here too, weird!) I’m sure they are way better than store bought. Bob’s Red Mill makes an organic (gmo free) corn flour. Corn flour is not what you would use in this. 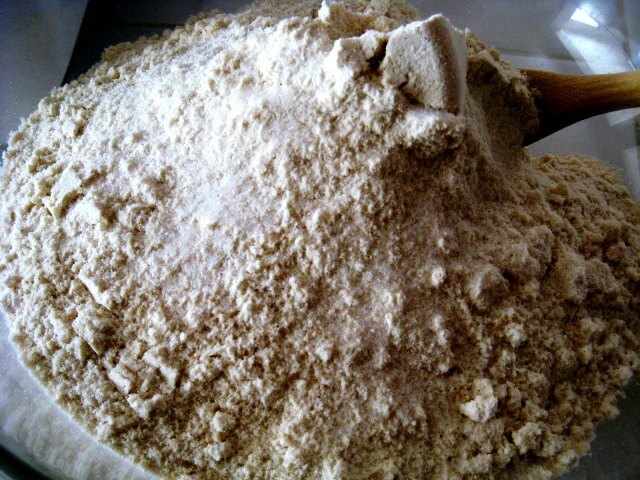 Masa harina is not the same as corn flour. BUT, Bob’s does make a masa harina. We’ve been testing it. It has a very corny flavor and a slightly different texture. @Amanda, I’m not sure if you’re familiar with Azure Standard, but they have organic Masa. Oh Jessica, I’ve been trying to get my tortillas to not fall apart when frying. Do you ever fry yours for tacos, I remember the post about your hubby frying tortillas for you, but I don’t remember if you were referencing homemade or storebought tortillas. Also yours look good in the post about poblano enchiladas and they folded well around the chilies, unlike mine. I wonder if its because yours are thicker than mine, they hold up better? @NIA, homemade tortillas, at least mine, taste HORRIBLE fried the next day. We only use storebought for that. As for the enchiladas, we do make ours fairly thick, even with a press. And I make sure they are hot/warm when I roll them into enchiladas, otherwise they will break. I have always wanted to make corn tortillas. We have recently made changes in our food, going organic &non gmo. Masa will be hard to find. I will look though. I know. Same here. I’ve googled it, but yes, even GMO-free will be hard to find. I’ve never tried theirs. Yay! Can you freeze these for later use? How many does a bag make? Nope. These are not make-ahead. They don’t even taste that great the day after. But, they are amazing when made fresh. A bag of masa makes 100s of tortillas. I store the bag in the freezer to extend its shelf life. So I have been reading through the archives and was inspired to try making my own corn tortillas. They were wonderful, my 19 year old daughter said we should never buy tortillas again, just make our own. We had recently made the change from flour to corn tortillas, but were disappointed in the corn tortillas I was buying. I don’t yet have a tortilla press, so pressed them between two layers of plastic wrap with my glass Pyrex pie plate, it was hilarious as I had to stand on a kitchen chair and press down with the pie plate on the table to get them thin enough, but it worked. Our next purchase will be a tortilla press, as I think it would be just a little quicker 🙂 as we eat tortillas several times a week. Thank you for the inspiration. I wonder if you can tell how many tortillas you get from 2 cups of masa? It varies depending on how many you make, but around 16 small ones. 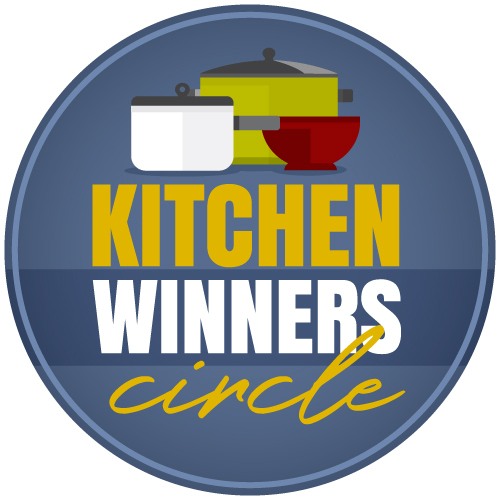 Have you tried making tortillas with other flours such as brown rice? I have found that in my “cornbread”, it has the same texture and my husband says it is remarkably close i flavor. Corn of any kind is on my sensitivity list fyi. 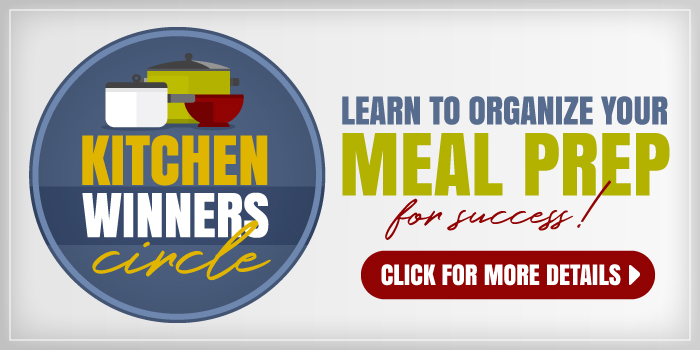 This means using other types of thickeners, binders, sweeteners, and starches that are usually corn\maize. 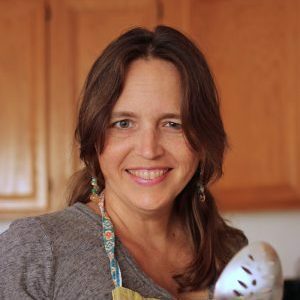 I have not made my own tortillas yet and am eager to try, but would like it if someone else tried it too to get another viewpoint in the experiment. I already make bread and pancakes out of brown rice with acceptable results (slight difference in texture or rise). We have also observed that our corn free food is more satisfying. On a web research I found out that there is a chemical in the corn of today (as opposed to heirloom corn) that turns off the “I’m full” signal in the brain, so animals (and people) who have a lot of this in their diet continue to eat so pack on fat. I tried making flour tortillas before but not with much success. I’ve not experimented with it otherwise, but I bet if you search paleo tortilla you may find some ideas. Paleo avoids corn.